So this blog post is going to be a slightly different, I have been Gluten Free for over two years now and I thought I would share my experience, and why I think it's not a fad diet. Back to the end of 2011, I was getting really bad stomach pains, I would feel really full and I was often very bloated. I wasn't sure what it was or whether it was anything serious so I played it off and never told anyone, over the next few weeks it got worse, it was not nice feeling bloated all the time. I told my mom and eventually I went to the doctors. Long story short I had numerous blood tests done and as well as keeping a food diary, everything came back negative which was frustrating, over time my symptoms got worse. I ended up vomiting on different occasions. I was also given different medicine, but to be honest, nothing was working. The doctors then told me that with all my symptoms and tests results that I more than likely had IBS (Irritable Bowel Syndrome), it made me feel better than I had a diagnosis and was the handed lots of leaflets about which food I could and could not eat. About November 2012 my mum saw an ad on Facebook, 'Symptoms of IBS try a Gluten free diet'. We thought we could only try, that day we cut all the Gluten products out my diet and entered the supermarket to look at the free from range. Much to my delight after a day and a half off being Gluten free I went to my bed feeling great, no bloating, no feeling sick... From then on I have been Gluten Free. ALWAYS CHECK THE LABEL; Even if you are positive a product is gluten free, there is no harm in checking. Very occasionally the product itself does not contain it but in fact, has been made in a factory that contains gluten. If the packaging does not say anything and you are still unsure CHECK ONLINE, you can go to the products website or you can Check Coeliac Uk which is very helpful. FORUMS; I think forums are very useful and can put your mind at rest. Whether you have just started a Gluten Free lifestyle or years into it, talking about it will always help. Sharing experiences with others in the same boat can be very informative. As I have said I have been on a gluten-free lifestyle for such a long time, I get asked a lot of questions about what I can eat and what I can't. But the main comment people say is 'You must be so healthy', I have strong opinions on why I feel that a gluten free diet can be just as unhealthy as a 'normal' diet. Firstly for a Gluten free diet to be healthy the person must eat right, if you are Gluten free you will know that a majority of 'Free From' products in the store are cakes, sweets, and chocolate. So I feel that on that side it is not, overeating on these products would be as unhealthy as eating gluten products. You have to be able to know what is naturally Gluten free to be able to be healthy. What is your thought on being Gluten Free? 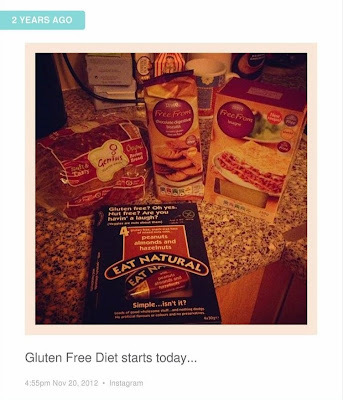 Do you want to be to post more abut being Gluten Free?